Despite the $12.5 billion annual price tag for US involvement in Afghanistan, the US will continue its longest war indefinitely so that the Taliban don’t think they can “wait us out,” top Pentagon officials told Congress. 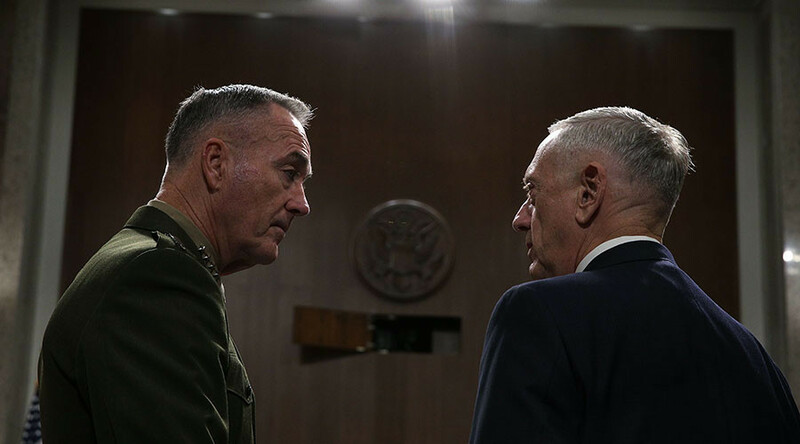 A bolstered offensive against the Taliban will drive the insurgents to a reconciliation that will end the war, US Defense Secretary James Mattis told the Senate Armed Services Committee on Tuesday, testifying alongside Chairman of Joint Chiefs of Staff Gen. Joseph Dunford. Previously, the Taliban had a timetable for the US leaving and it motivated them to fight, but they don’t have such a timetable anymore, Dunford said, explaining the new administration’s strategy to skeptical senators. “We want them to have no hope of ever winning,” Mattis said. Many lawmakers at the hearing seemed to have lost hope for the US ever winning the 16-year war, the longest in American history, as they repeatedly asked if it was even winnable. The US has concerns about Russia’s role in Afghanistan, Mattis told the senators, without elaborating what that role is and what exactly he was concerned about. “I’m concerned that Russia is not operating in its own best interest,” the defense secretary said. Russia has called for a political solution that would involve the Taliban, on the condition that the insurgents sever terrorist links, bring armed resistance to an end, and respect Afghanistan’s constitution - a position that is almost identical to that stated by the US. 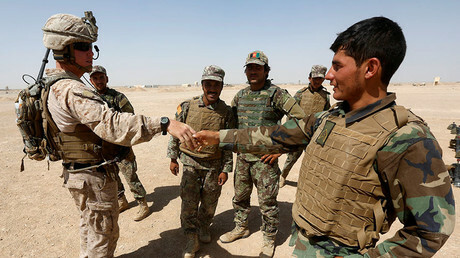 However, Moscow criticized the Trump administration’s decision to send more troops to Afghanistan, calling it a “dead-end approach” because it relies on the use of force. Nearly 2,400 American soldiers have died in the war, which began as a response to Afghanistan’s harboring of Al-Qaeda after the 9/11 terrorist attacks in 2001 and then morphed into a fight against the local Taliban to prevent them from regaining power. 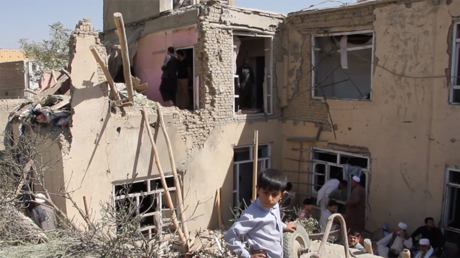 Afghan civilians have been hit the hardest – some 1,662 were killed in the first half of 2017 alone, according to a mid-year report by UN Assistance Mission in Afghanistan (UNAMA). In August, the US-backed government in Kabul controlled about 60 percent of the country – down from 65 percent the same time last year, according to the US military. Throughout the summer, the Taliban continued to seize ground. The US is estimated to have spent over $700 billion on military assistance, reconstruction and economic aid to Afghanistan over the past 16 years.